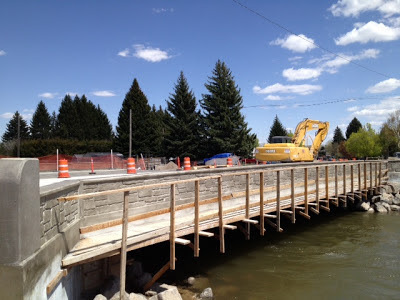 If you've been driving on John Adams Parkway the past six months the new bridge over the Idaho Canal has become a daily reality to you (although not nearly the reality I imagine it was to the people working on it when the temperatures were below zero.) Here's the latest: The project, which started Oct. 23, 2012, has a scheduled completion date of July 23. As of Friday, the city had been charged 78 working days. The construction bid cost was $827,000 for removal and replacement.